We attach great importance to the geotechnical investigation. 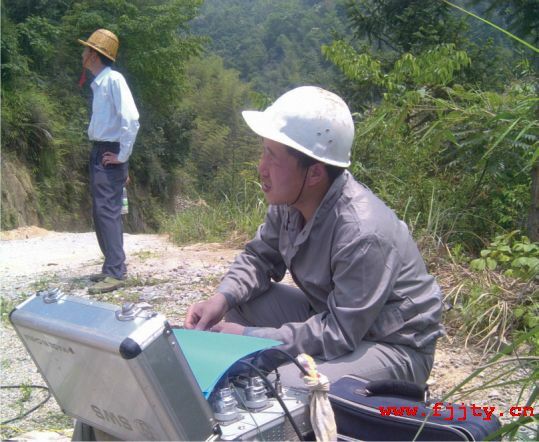 usage of comprehensive investigation means such as drilling, geophysical exploration, and combination of in-situ testing and indoor testing, while actively developing the test and detection technologies, some of which have reached national leading level, and we have made fruitful results in the geological disaster risk assessment. geological disaster control. and high slope protection design,etc. A number of projects have won national. provincial and ministerial outstanding engineering investigation awards. In 2006，the design of the roadcut high slope of Longyan-Changting Expressway won the first prize of provincial excellent QC team. In 2008, the engineering geological investigation of Fujian Zhangzhou-Zhaoan Expressway won the bronze award of national outstanding engineering investigation. In 2008, the engineering geological investigation of Beijing-Fuzhou Expressway within the boundary of Fujian (Fuzhou Section) won the first prize of provincial outstanding engineering investigation. In 2009, the engineering geological investigation of the first contracted section of Longyan-Changting Expressway won the first prize of provincial outstanding engineering investigation, and the second prize of national outstanding engineering investigation and design industry. In 2014, the expressway engineering geological survey of the section from Fujian Songxi (inside Fujian and Zhejiang) to Jianou of the Changchun-Shenzhen Expressway won 2nd Prize of the Excellent Survey Project of Highway Traffic in China. In 2016, the engineering survey of the S2 contract section from Zhangzhou to Yongan of Haixi Expressway Network won the 2nd prize of Excellent Survey Project of Highway Traffic in China. In 2017, the engineering geological survey of the section from Jianou of Fujian to Minhou expressway Fuzhou city of Beijing-Taipe Expressway won first prize of provincial excellent survey design.